I get ideas all the time, and I want to make sure to grab it. Once I have that light bulb, I want to be sure to put it down on paper. Dyed a vibrant copper, Valerj (pronounced like “Valerie”) Pobega’s bobbed hair falls stick-straight. Bright turquoise lines her eyes, the cool shade playing off their natural warmth. The colors intentionally conjure ’70s-era David Bowie, Valerj’s longtime muse and the person she credits with catalyzing her fashion career. Part designer, part artist, Sardinia native Valerj launched her namesake label in 2008 from her adopted hometown of Los Angeles. She and her husband, artist Mattia Biagi, fell in love with LA over the course of multiple cross-Atlantic getaways, settling in permanently 12 years ago. 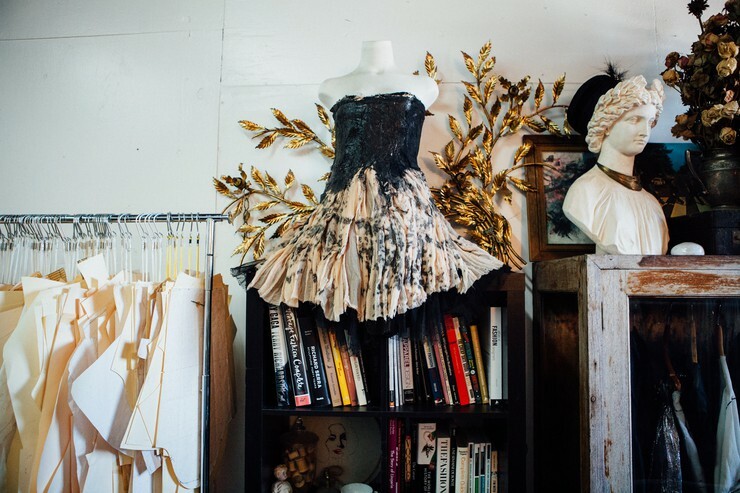 Today, the duo shares a Culver City studio space, divided between Mattia’s sculptural collage and “tar works,” and Valerj’s sensual, diaphanous garments. Growing up in a family of creatives who nurtured her nascent talent from the get-go, Valerj was taught to paint, draw, sculpt and sew. 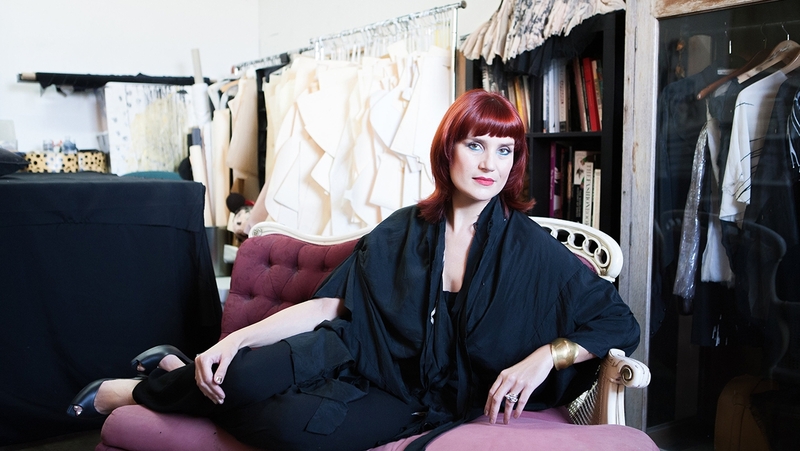 As a little girl, she made clothes for her dolls, foreshadowing her journey into adulthood. Prior to studying art, fashion and patternmaking, Valerj modeled in Rome and Milan for storied houses like Fendi and Valentino. 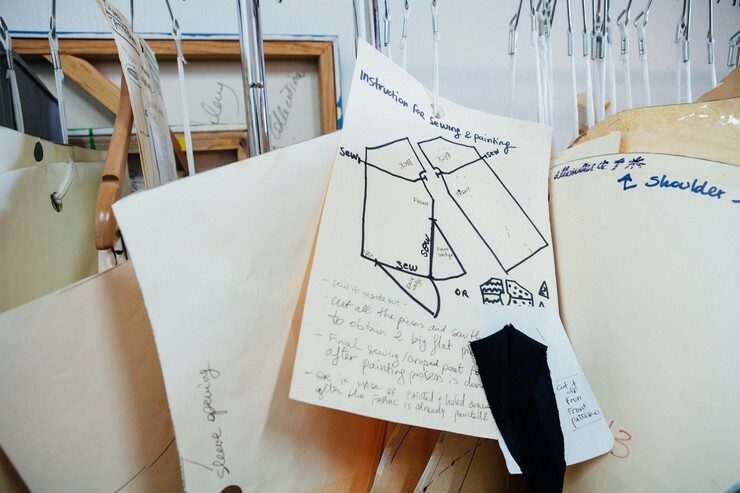 Long hours of fittings and quality time spent with seamstresses gave her an insider’s look at the complex world of fashion. Crafted entirely by hand—the designer’s own—the pieces in Valerj’s collection have a feather-light feel that belies their labor-intensive construction. She estimates that about 90% of her garments are made from silk. 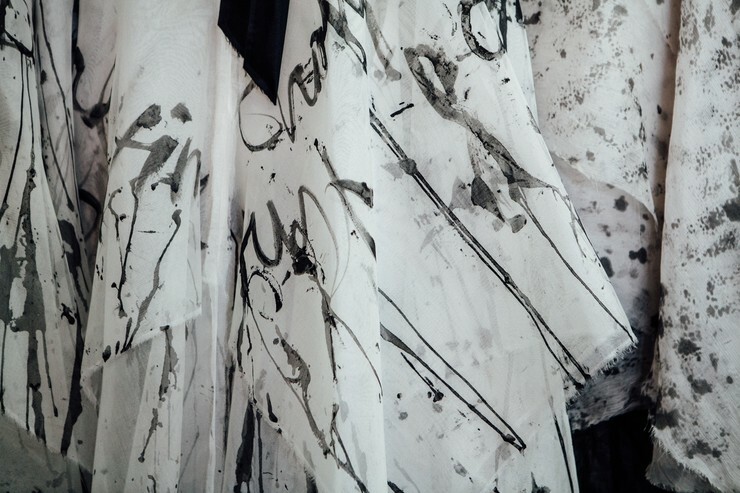 “I work with silk because I find it very ethereal, especially when you hand-paint—it can take very interesting shapes,” she explains. Valerj’s most recent collection, for fall 2016, is a black-and-white homage to David Bowie entitled “Hero.” Primarily comprised of long and short capes, kimonos, bell-bottomed trousers and maxi dresses, the collection features one particularly distinctive flourish: ribbon ties at the nape of the neck, clavicle and shoulders, reinforcing both the garments’ inherent sensuality and theatricality. 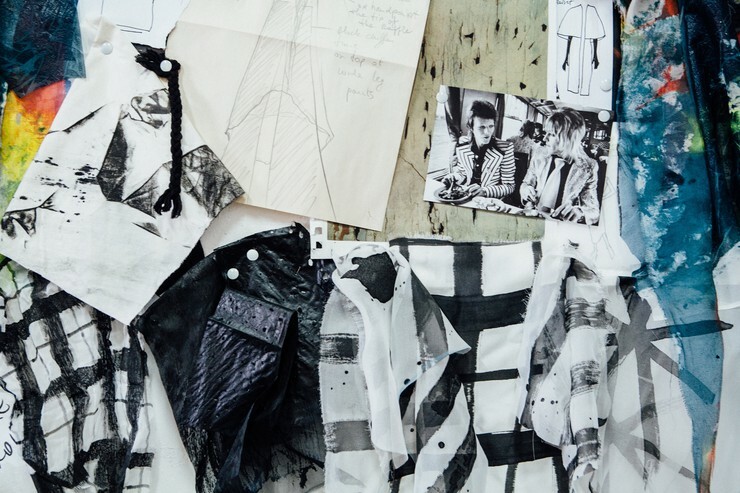 Valerj had already created an entirely different collection when she learned of Bowie’s death last January. 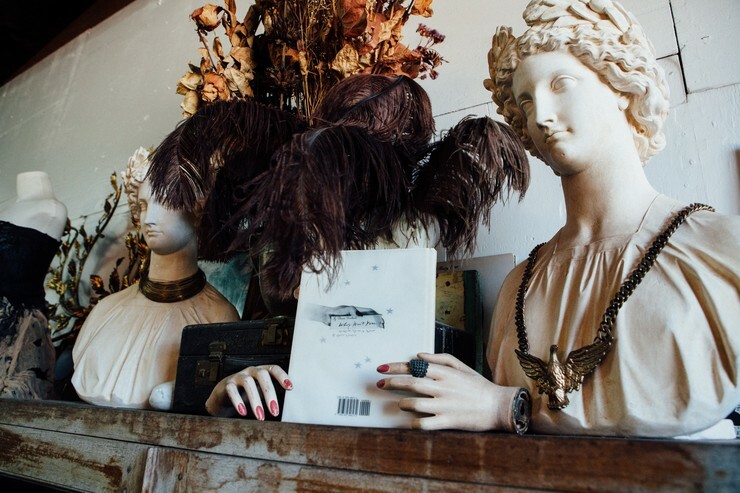 Shocked, but emboldened to start anew, she scrapped the work she had put into the collection, which she planned to show at LA vintage mecca, Decades. Musicians remain a fount of inspiration for Valerj, as well as some of her best-known clients. She’s dressed everyone from Ozzy Osbourne to Shirley Manson to Selena Gomez. 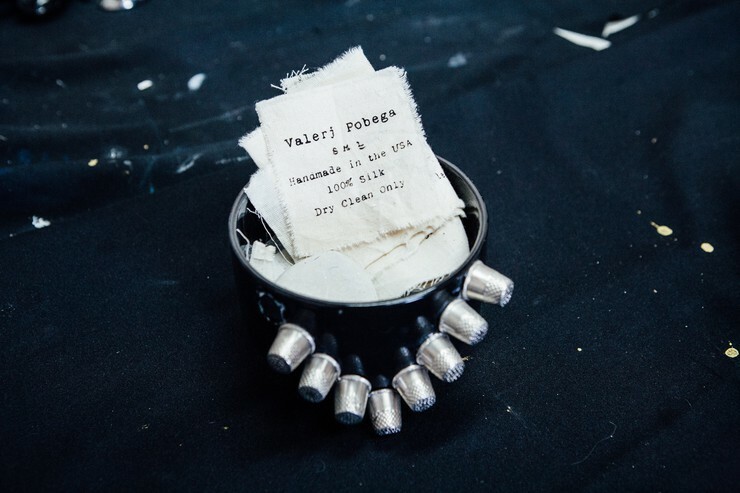 Madonna wore Valerj’s label in her “Ghosttown” video. And, perhaps most famously, Lady Gaga donned a black gown painted a brilliant gold, phoenix wings covering the expanse of its dolman sleeves, in American Horror Story: Hotel last fall. Valerj is fortunate enough to be picky with her clientele. “I’ve turned down even big names if they don’t fit with my brand,” she admits. “And some people are like, “Oh my god, are you crazy? If this person wears your clothes, it’s huge.’” Still, Valerj says having respect for the musician and their work is paramount. Without that, collaborating is a no-go. While Valerj showed part of her most recent collection on store mannequins, she kept with her unorthodox presentation by clothing classically-trained ballet dancers in her pieces, as well. On Valerj’s website, the clothes are modeled by an androgynous man with a lithe frame and bright red hair who clearly resembles Bowie. Previous collections have been modeled on a 94-year-old woman with a pink perm (a stylist friend’s grandmother) and on a Cirque du Soleil contortionist, whom Valerj asked to don a black latex suit beneath one of her dresses, painted to resemble a spider web. “She was doing backbends. The collection was ‘Arachnophobia,’ so I should get a spider, not a model,” Valerj reasoned. Not surprisingly, Valerj says she’s pushing to broaden her horizons and venture into different media. 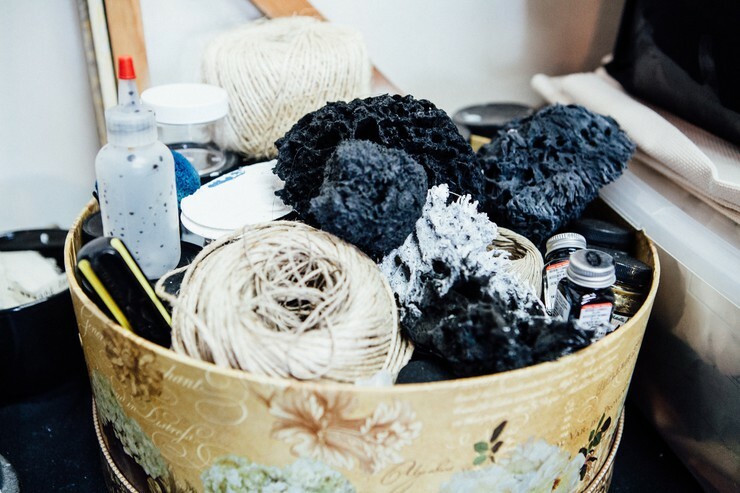 “I would love to do costumes for opera or theater. I’m starting to collaborate with stylists or costume designers for movies and TV shows, as well. But again, a specific kind…” Asked whether that might extend to, say, a primetime comedy on a major network, she smiles knowingly and says it’s not totally out of the question, provided it fits with her aesthetic. Cheers, then, to living a little dangerously. "This is a TV showing a video I’ve art-directed to present my "Arachnophobia" collection during NY fashion week. The collection was inspired by spiders so instead of using a model, I’ve hired a contortionist that used to work with Cirque du Soleil and dressed her in a black latex suit with one of my gowns on top of it and asked her to walk in a back bend to resemble a spider during the filming of the video." "I like to go to flea markets both here and when I travel, and I like to collect interesting objects, like that Victorian porcelain doll I've found at Portobello market in London." "Piles of Vogue Italia and Love magazines." 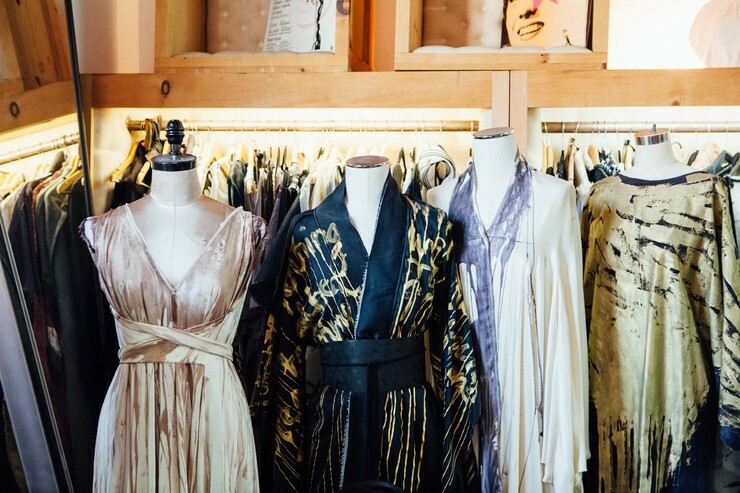 "A close up of my inspiration board with some of my hand-painted silk fabrics hanging from it along with notes, sketches and pictures that inspire me, plus more magazines and some of the golden masks that I've made as part of my latest "Hero" collection presentation at Decades boutique in LA." "One of my inspiration boards surrounded by part of my huge collection of international (new and vintage) fashion magazines; the weight has bent one of the shelves."